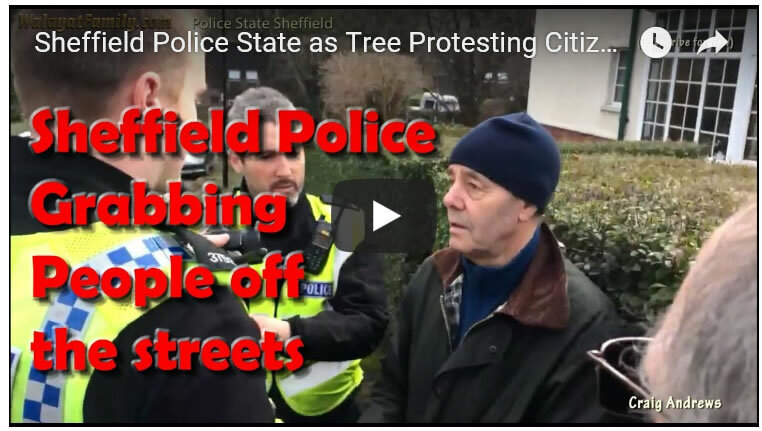 Labour Sheffield City Councils Secret Plan to Fell 50% of Street Trees Exposed! 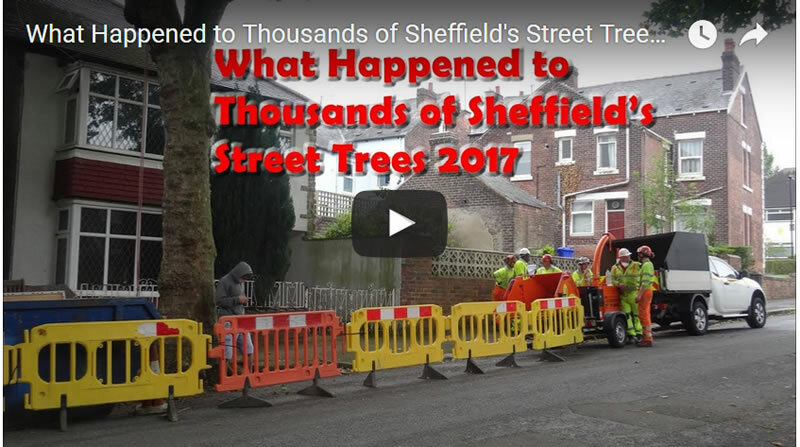 The mainstream press has finally awoken up to the fact that Sheffield city council and it's contractor had all along planned to fell half of Sheffield's street trees. Having kept the information contained within the Streets Ahead PFI contract with Spanish owned Amey secret for over 5 years, previously only releasing heavily redacted pages that failed to answer key questions raised by tree campaigners. 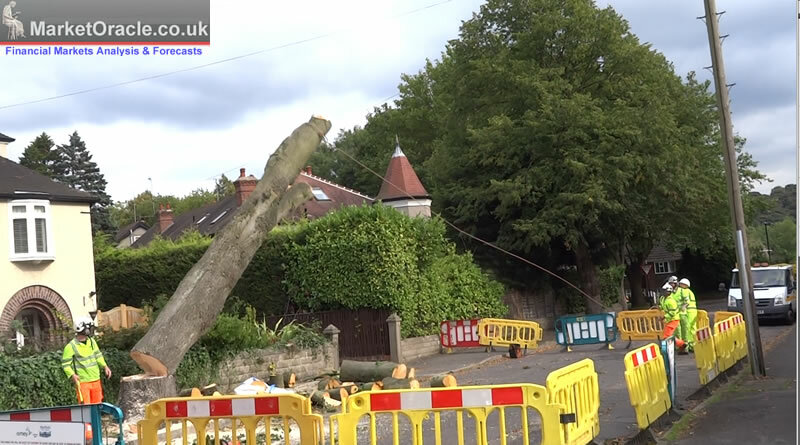 Where even towards the end of 2017 the council in the face of growing public opposition and protests on the streets, the Labour councilors still stuck to their mantra of having a target of felling fewer than 6000 trees, following which the contract was said to enter a maintenance phase. However, given the scale of fellings underway, my conclusion for well over a year has been that the Council's contractor would never just stop at just 6,000 tree's just as they never stopped at 1,000 then 2000 became 3000 and so on, so it was highly likely that as per what was written in the contract the felling of street trees would continue to total at least 16,000 street trees, or about 50% of the original total of 35,000 as my following documentary from Mid 2017 illustrates. 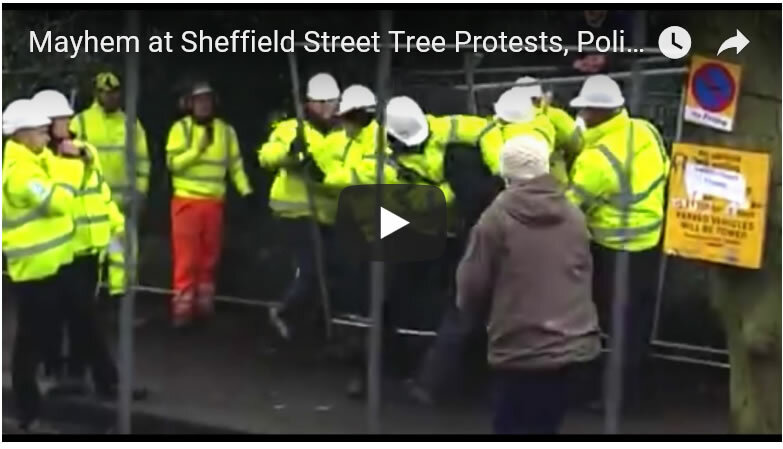 This whilst the establishment media, from local the Star to BBC's Look North amongst many others propagated SCC / Amey propaganda that had deliberately held secret the true magnitude of the amount of planned felling of street trees contained within the contract from the Sheffield people. 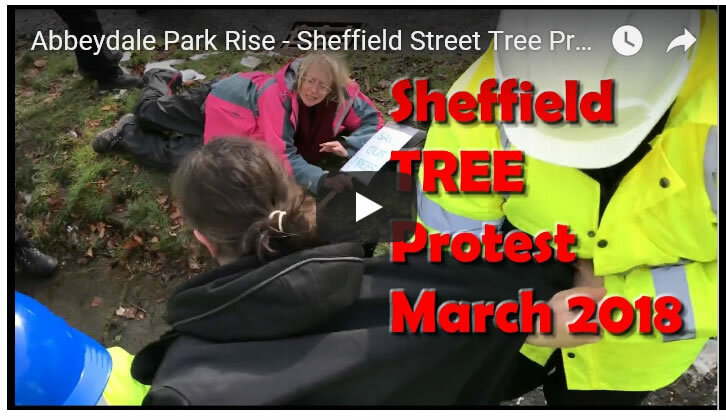 For instance in the following 2013 Star article the Council propaganda painted a picture of only 1250 trees needing to be felled out of Sheffield's 36k total, despite the Labour council having earlier signed a contract that stated 50%, 17,500 would be felled! 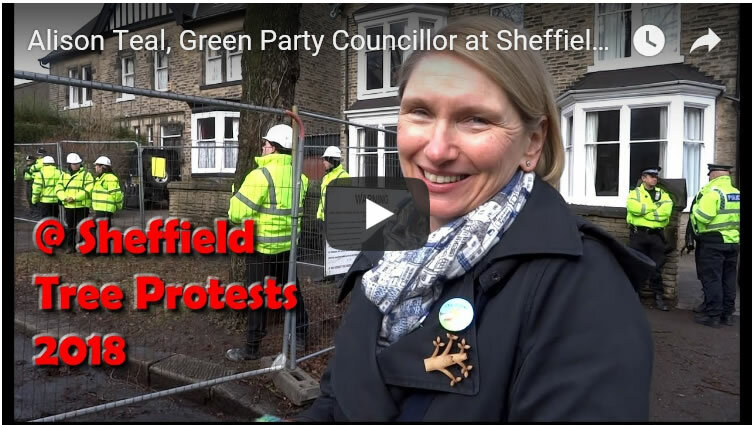 What this means is that the Labour council had planned to strip formerly Europe's greenest city of half of its street trees, having already felled near 6,000 street trees would mean Sheffield is set to lose another 11,500 street trees, and therefore killing the city in terms of being Europe's greenest city. This exposure of what effectively amount to lies that have been emanating out of the city councilors mouths for these past few years has now galvanised the establishment mainstream media to do a 180 on the story they had been pedaling for the duration, hence the headlines in today's mainstream media critical of the Labour city council for its propaganda and programme for misinformation. 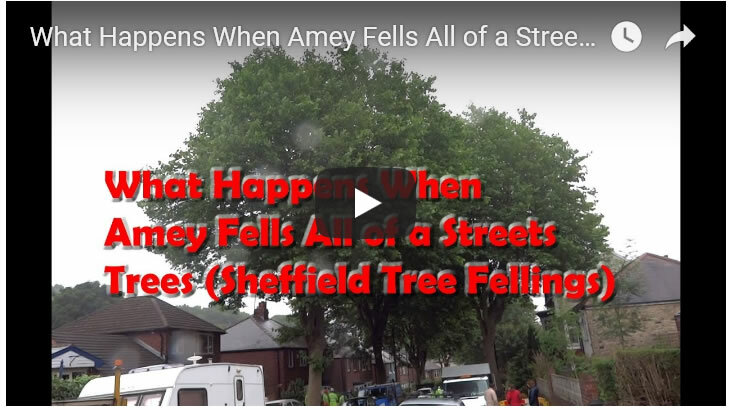 The following video illustrates exactly what it means when Amey comes to a street and fells ALL of its tree's, turning a formerly majestic tree lined desirable suburban street into just another run down Labour voting council estate. Here a police officer explains to protestors why they will be arrested under Highways Act legislation. 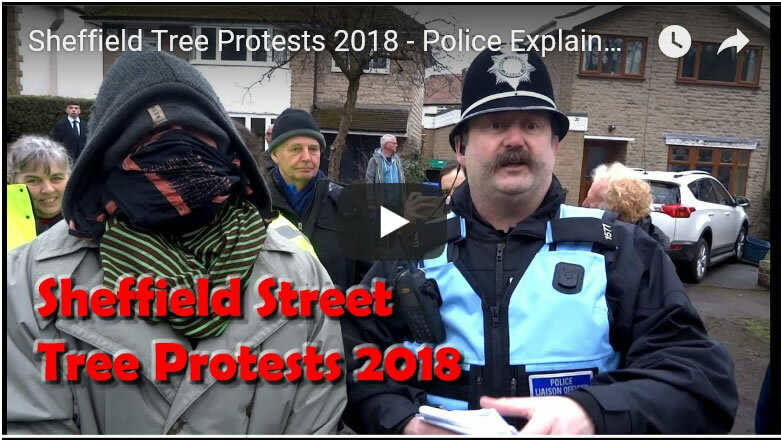 So as someone who frequents a felling site at least once per week, I have to now be prepared for the possibility of being arrested by Sheffield's Gestapo Police for nothing more than observing, documenting and holding those who abuse the protestors to account through publication of video evidence. 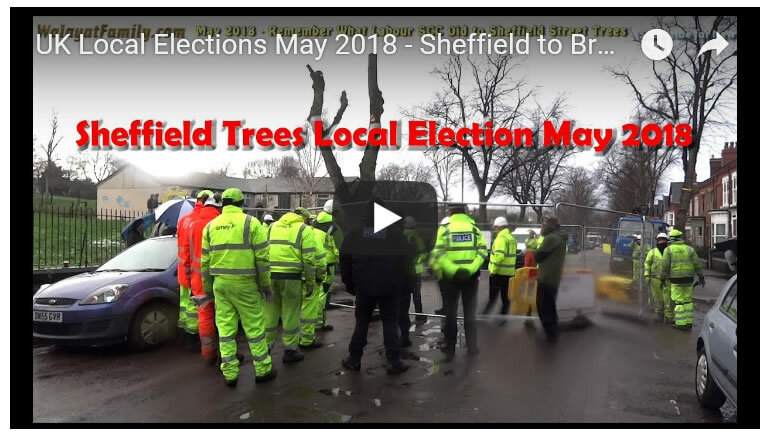 As apparently standing peacefully at a tree protest is now a crime as the Labour council appears to have sold Sheffield to Amey, a Spanish multinational and then the establishment wonders why the people of Sheffield voted for BrExit!